No one knows how to a throw a party quite like South Louisiana, especially during Carnival season. Whether it&apos;s in the city of Lafayette or out in rural fields of Evangeline and Acadia parishes, Mardi Gras here offers revelry for all ages. Growing up in Florida, all I knew about Mardi Gras were beads, daiquiris, Orlando&apos;s Universal Studios, masks and feathers, loosely clad tourists, more beads and the throngs of people who flood New Orleans&apos; French Quarter streets each year. To be fair, I&apos;ve not yet been to New Orleans for Mardi Gras. I&apos;ve also never experienced Universal Studios&apos; take on the pre-Lenten celebration. Here in Acadiana, there&apos;s little exclusivity when it comes to Mardi Gras event options for visitors and locals. Have kids? Bring them to Mardi Gras. Have dogs? Bring them too, especially on Feb. 23 when Krewe des Chiens Parade for Dogs will commence in downtown Lafayette. Just around Lafayette Parish alone, there are 13 parades throughout the month leading up to the official Fat Tuesday date, Mar 5. For years, Lafayette has touted its Mardi Gras celebration as a family friendly, and while that is true, it doesn&apos;t mean it&apos;s a less-vibrant party. Children even have a chance to participate in their own Courir de Mardi Gras, a South Louisiana country tradition that can&apos;t be found anywhere else in the U.S.
My first Courir de Mardi Gras run began on a cold, wet morning in Eunice three years ago. You should know that no matter the weather conditions, revelers will always show up for a courir or run. A friend let me borrow a traditional costume, hand-sewn with purple, black and white fringe, lined with black feathers. "I promise I won&apos;t get it dirty," I told my friend, a Lafayette native. "Oh, you are going to get it dirty. You may even destroy it," he said, obviously amused that I had no idea what I was about to throw myself into. The costume did not survive the run. There are a few things you should know if you choose to participate in a courir. 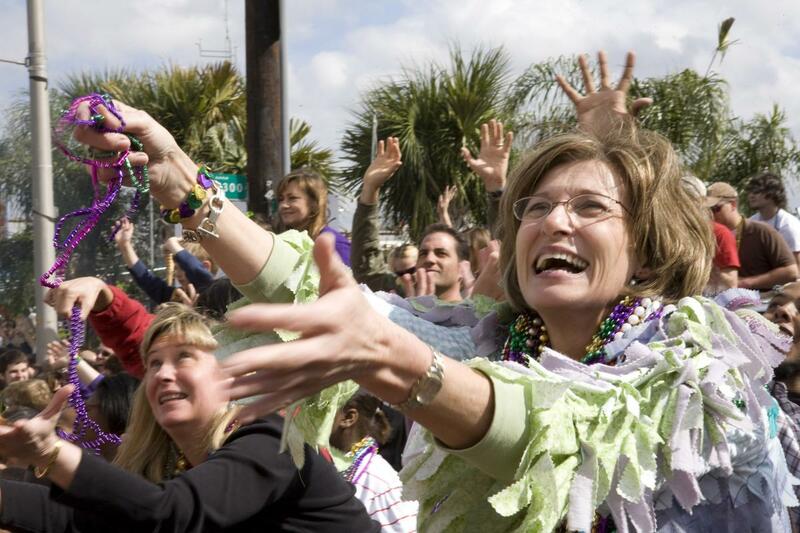 You will not be thrown beads, you better show up in costume and you must be ready sing, beg and run. You may even get a little muddy. 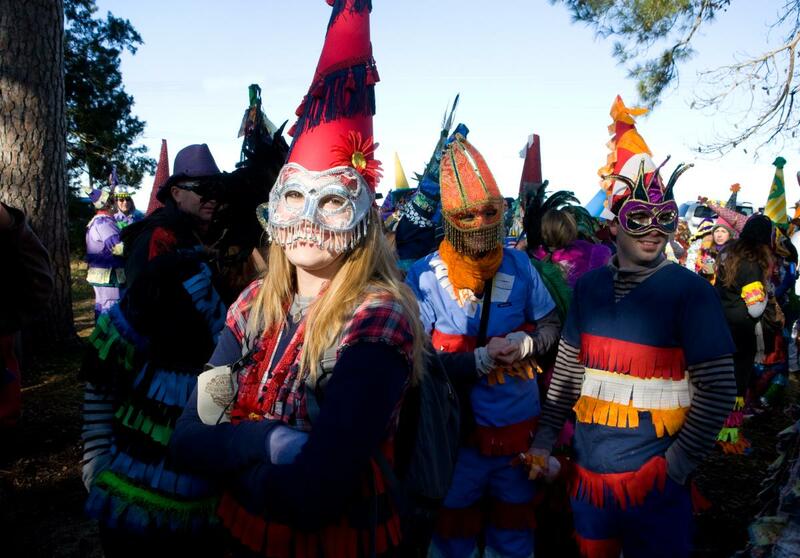 During your early day revel, keep in mind that you are participating in one of South Louisiana&apos;s oldest traditions originating from medieval Europe. 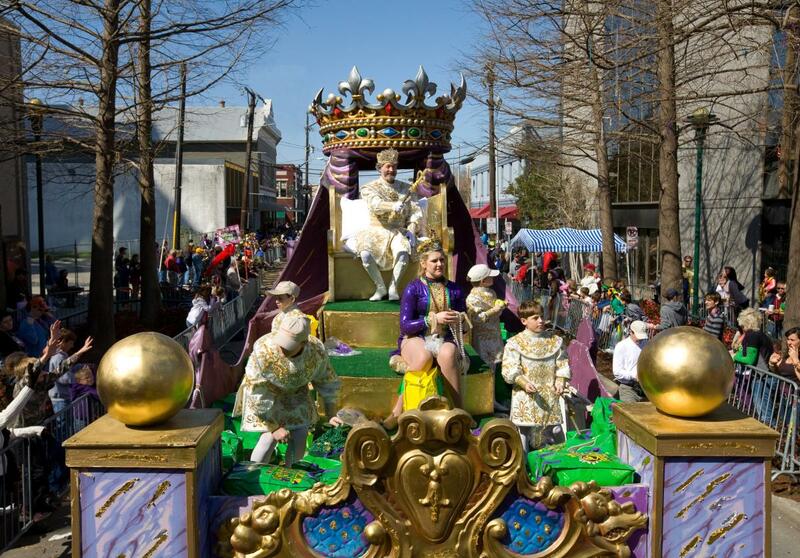 In Lafayette&apos;s city limits, parades kick off with the Krewe of Carnivale en Rio Mardi Gras Parade on Feb. 23 and continue the following weekend with Krewe of Bonaparte, Queen Evangeline and King Gabriel’s Parade. Be sure and arrive early to park and find a good spot along the parade route. These larger, evening parades draw big crowds to check out the local krewe&apos;s extravagantly decorated floats and costumes. For families looking for an earlier parade for the kiddos, the Children&apos;s Parade kicks off at 12:30 p.m. on Mar. 2 from Lafayette&apos;s downtown to Cajun Field. Prefer smaller crowds but still want to catch a few throws and watch marching bands perform along the route? I recommend community parades in towns like Youngsville, Scott and Eunice. For years, my only Mardi Gras parade experiences were in these small towns where residents along the route post up in their front yards and in truck beds to enjoy what becomes a day-long celebration. It&apos;s a great way to catch local flavor and tradition in the main streets of small-town America. 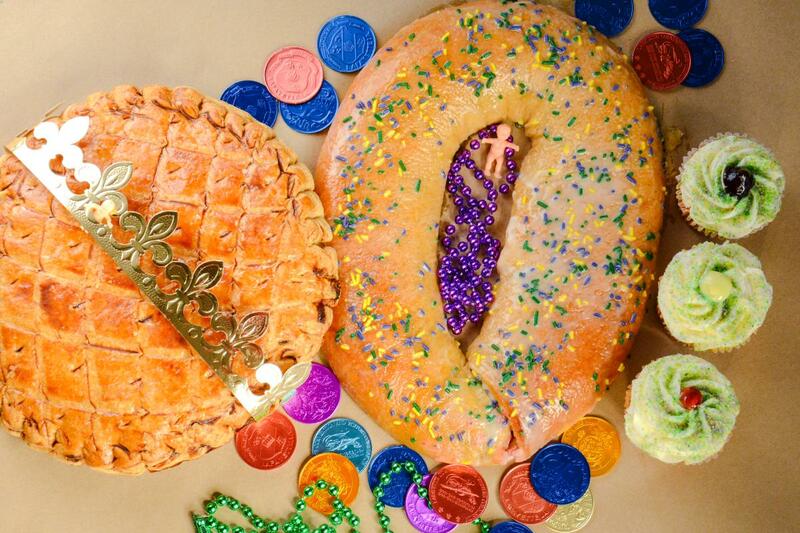 For anyone coming to experience Carnival season here in Louisiana, a culinary must-taste is the beloved king cake. The often icing topped, ring-shaped pastry pairs well with coffee, or, depending on where you are, with beer. Sometimes it&apos;s even stuffed with boudin. Traditionally filled with ingredients like cream cheese, chocolate, apple and cinnamon, king cakes aren&apos;t difficult to find. Checkout local bakeries like Poupart&apos;s, Keller&apos;s and Meche&apos;s.
Look forward to pass a good time, reveler. You&apos;ll plan to come back.